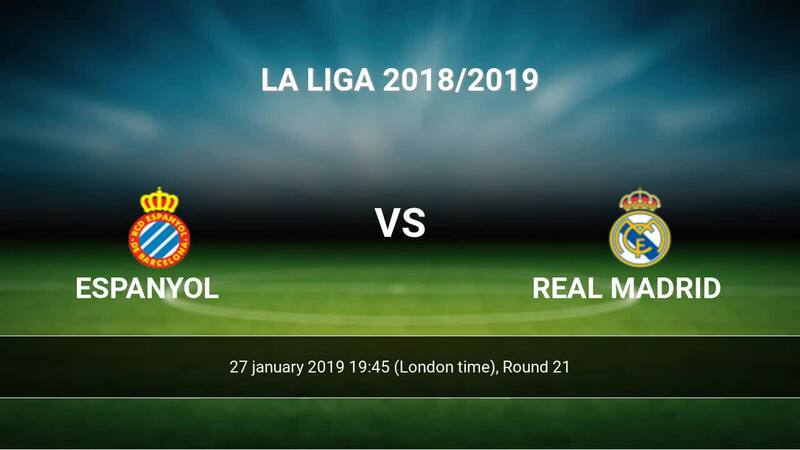 Match Espanyol-Real Madrid La Liga the fixture is set to kick-off today 19:45 on RCDE Stadium. Refereee Jesus Gil. 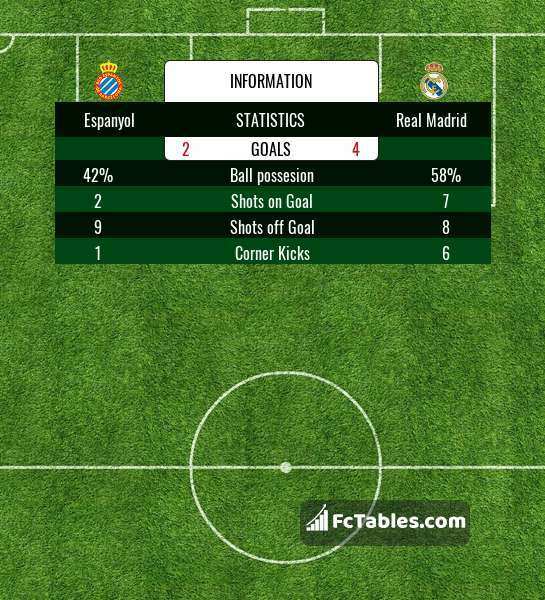 Team Espanyol is located in the middle of the table. (15 place). In 5 last games (league + cup) Espanyol get 3 points. 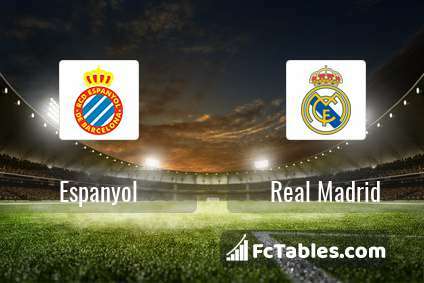 Espanyol from 2 matches can not beat any rival. Players Espanyol in La Liga with the highest number of goals: Borja Iglesias 9 goals, Esteban Granero 2 goals, Sergio Garcia 2 goals. Most assists in the club have: Borja Iglesias 2 assists, Esteban Granero 1 assists, Sergio Garcia 1 assists. Injuries in the team Espanyol: Naldo, Oscar Duarte, David Lopez, Hernan Perez. Team Real Madrid is at the top place in the table (4 place). In 5 last matches (league + cup) team gain 10 points. away from 3 matches team have not been defeated. The best players Real Madrid in La Liga, who scored the most goals for the club: Karim Benzema 7 goals, Gareth Bale 4 goals, Sergio Ramos 4 goals. Players with the most assists: Karim Benzema 2 assists, Gareth Bale 2 assists, Sergio Ramos 1 assists. Injured players Real Madrid: Keylor Navas, Jesus Vallejo. Direct matches: Real Madrid won more direct matches. Espanyol won 6 matches , Real Madrid won 31 direct matches, was a 6 draws. In 25 matches the sum of the goals both teams was greater than 2.5 (Over 2.5), and 32 matches teams scored more than 1.5 goals (Over 1.5). In 16 matches the both teams scored a least one goal (Both teams to score).